Several news sources confirm that a ‘terrorist incident’ has occurred outside the UK Parliament today. Several people have been injured and at least one dead. The suspect was shot by police according tot he House of Commons leader David Lidington. Sky News reports that witnesses said there was a middle-aged man carrying a knife about “seven or eight inches long”. 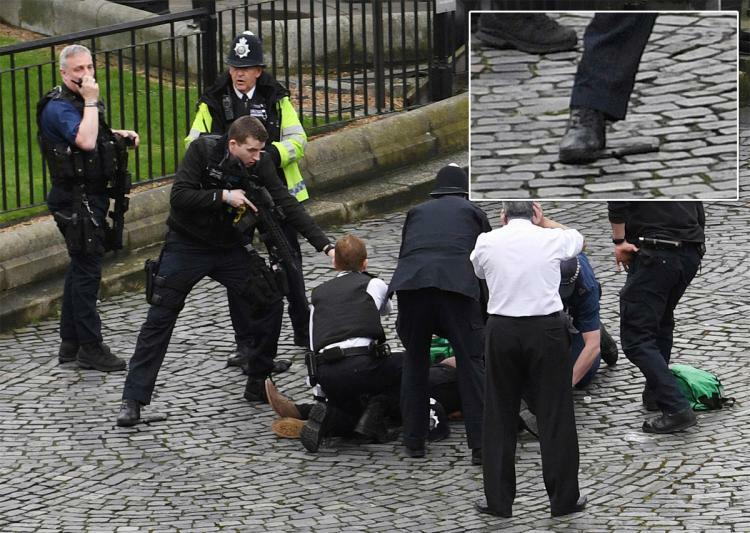 The man crashed his car into the gates outside the Parliament, got out with a knife and started “plunging it into the policeman”.